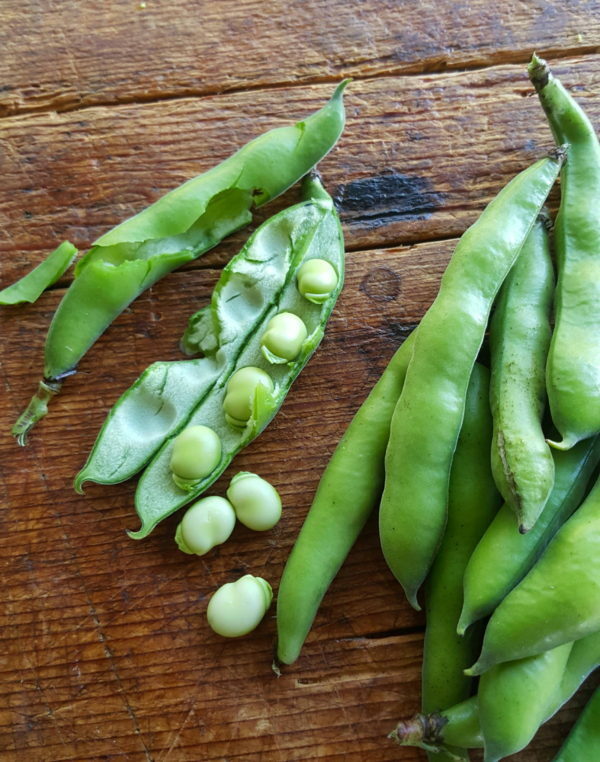 1 If the broad beans are fresh, remove them from their pods and drop them into a saucepan of lightly salted boiling water. Return water to the boil and cook for 3-7 minutes, depending on their maturity. Drain and refresh with cold water until they feel cool. 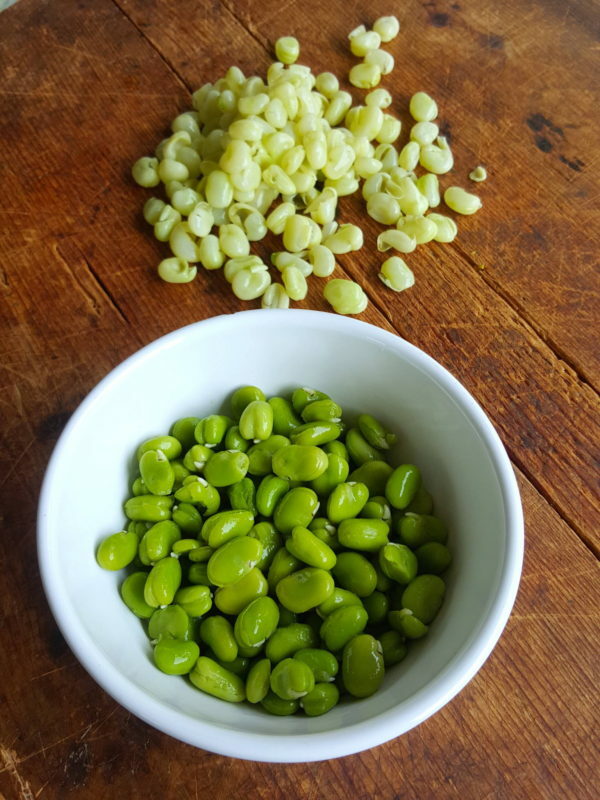 If using frozen broad beans, put them in a sieve and rinse off ice crystals under running hot water, then cook as for fresh, for 3-5 minutes only, until piping hot, drain and refresh with cold water until they feel cool. Flick off their outer skins and discard. This is fiddly but necessary as the skins are tough, so make yourself comfortable and just get on with it. The beans can be prepared 1-2 hours ahead; keep covered and refrigerated. 2 Transfer beans to the bowl of a food processor. Add lemon juice, ¼ teaspoon of salt, the garlic and chilli and process until smooth. Dribble in most of the oil, or enough to make the mixture loose enough to spread (reserve some oil to drizzle over the top of the dip). Taste for salt. 3 Transfer dip to a bowl, make a little hollow in the mixture and fill with oil. Sprinkle with smoked paprika or sumac. Serve with bread. 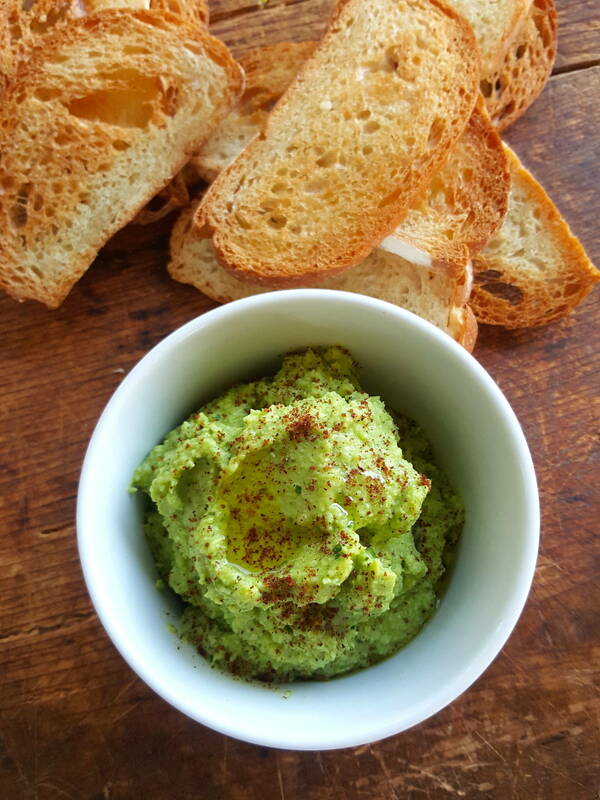 If broad beans are not in season, use frozen broad beans, which are nearly as good. Bissara is also served thinned down, sprinkled with spices as a soup. As a dip it has a nice little zing thanks to the chilli. It’s great on bread or toast with a pre-dinner drink, but you can make more of it by serving it with smoked fish – white fish or salmon – or lightly cooked eggs and olives, or with slow-roasted tomatoes and feta, or serve it with all these things for a casual lunch. Sumac is a coarse powder made from the ripe, reddish-brown berries of the sumac shrub, sumac brings a refreshing note to many Middle Eastern dishes. The lemony taste and mild astringency works well with roasted or grilled chicken, meat or fish. It’s also good sprinkled over tomatoes drizzled with a little oil before baking, or stirred into yoghurt to accompany meat dishes. Store airtight out of the light.